New York Michael Bloomberg exemplifies everything that is wrong with modern politics. I don’t mean to sound bitter or to wage some kind of irrational mudslinging campaign; I mean it in the most literal sense. He is everything that is rotten about politics in America. No longer content with disarming the law-abiding in his own crime-riddled island wasteland, Bloomberg has set his sights on a much grander and far-reaching goal: disarming the American populace…. Because it has worked so well for the good citizens of New York, D.C., Chicago, Newark and South Central L.A.
Bloomberg spends his days and nights looking to invoke his will on the people and punish those that resist. Some might call it fascism, but when it’s a lefty doing it, all is forgiven. Bloomberg and his stormtroopers, Mayors Against Illegal Guns, have begun a pricey $350,000 ad campaign to target Arkansas Democrat Senator Mark Pryor who is up for re-election next year. His crime? He had the audacity to vote against the unconstitutional universal background check bill. 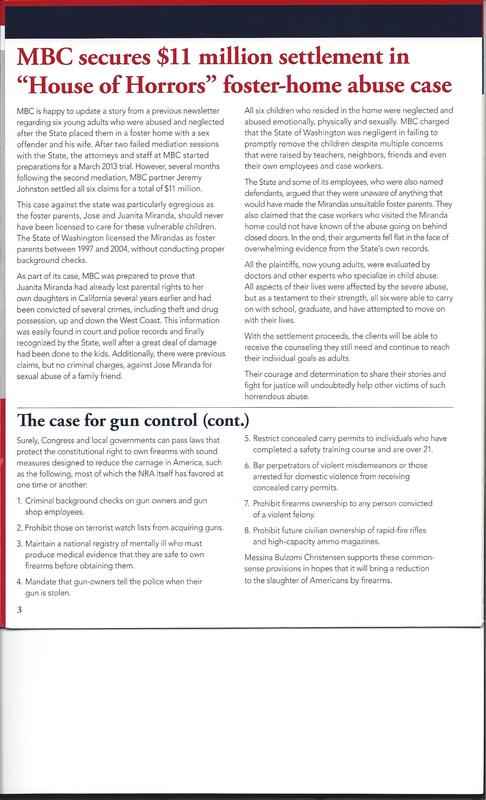 From the Firearms Coalition: A nwsletter worth reading. Read about one guy learning the hard way. Some want to make this about the guy, but it’s about the bad laws. Dustin Reininger is no saint, but what’s happening to him in New Jersey is a sin. The anti-rights lobby doesn’t just twist statistics, they make them up – then keep repeating the lies even after they’re uncovered. Don’t forget that the Senate will probably renew efforts to expand background checks and criminalize private transfers soon. Should you go to jail for swapping guns with a regular shooting buddy? Call your senators every day, or at least once a week, and let them know that you don’t want any new gun control laws. No New Gun Laws! No Bans. No “Universal Background Checks.” No Dangerous New “Anti-Trafficking” laws. No Compromise! The Capitol Switchboard number is 202-224-3121. Please forward this E-Update to every freedom-loving American you know. If you’re not a Supporting Member of The Firearms Coalition, we invite you to step up now to help us fight for your rights. Formed by Neal Knox in 1984, The Firearms Coalition has been fighting for your rights for almost 30 years, but we can only be effective if we have your help. Please visit our web site at FirearmsCoalition.org and make whatever contribution you can afford. Visit us on Facebook, and share our columns and information with your friends and family. Together we can protect our rights and save our republic. 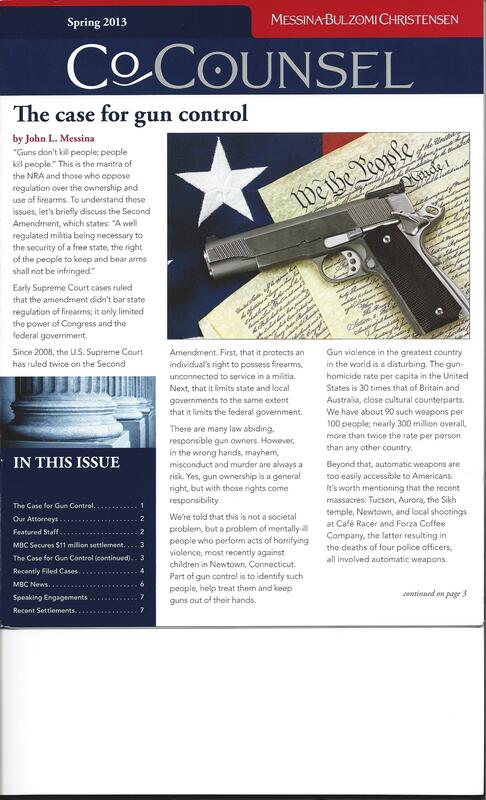 Posted in Civil War, Economics, Editorial, Opinion, Education, Gun Control, Hoplophobia, Law, Men's Issues, mysandry, News, Political blog global, Politics, States Rights, Wordpress Political Blogs | Comments Off on From the Firearms Coalition: A nwsletter worth reading. “It is disturbing that James Rosen, who covers the State Department for Fox News was targeted,” said CCRKBA Chairman Alan Gottlieb, “but now published reports suggest that the DOJ, in a separate effort, apparently also targeted Fox News reporter William La Jeunesse, who broke several stories about Operation Fast and Furious. Fast and Furious is the scandalous Bureau of Alcohol, Tobacco, Firearms and Explosives gun trafficking operation that authorized at least 2,000 AK-type rifles to be purchased by known criminal suspects. It was terminated immediately after a gun associated with the operation was recovered at the scene of a gunfight in 2010 that resulted in the death of Border Patrol Agent Brian Terry. “It should not surprise anyone that the First Amendment is every bit as important to us as the Second Amendment,” Gottlieb observed. “The Citizens Committee is not an organization that cherry picks from the Bill of Rights. Unlike the Obama administration, we revere all the individual rights protected by the Constitution, while they seem intent on ignoring its very existence. It’s quite a compliment when the New York Times thinks that you are doing “tremendous damage.” But you can be sure that the other side is not going to go away quietly. And sure enough, the Obama Administration is trying to unilaterally undo our recent victory in the Senate – and to undo the “damage” that all of us inflicted together. Remember when Senators Pat Toomey, Joe Manchin and Chuck Schumer formed an unholy alliance during the recent gun battle on Capitol Hill? Remember how their amendment would have encouraged your psychiatrist to turn you in to the FBI’s gun ban list? And you remember how we stopped that provision, because over 40 senators found it to be odious and a violation of the Second Amendment? 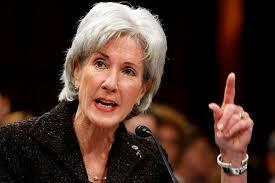 Instead, Secretary Kathleen “ObamaCare” Sebelius – and her Department of Health and Human Services – has promulgated regulations which would, by executive fiat, waive all federal privacy laws and encourage you doctor to report you to the FBI. So if they say you can’t balance your checkbook, then you lose your constitutional rights. But there’s another problem: The day these regulations become law, lawyers will be lining up to sue “deep-pocket” psychiatrists for every case where they failed to turn in a patient to NICS – if the patient subsequently engages in a horrific act. The bottom line? Any psychiatrist who failed to report all of his patients to the NICS system risks losing everything if any of them engages in harmful conduct. Soon the rule of thumb will be: See a shrink; lose your guns. And the regulations will apply to private, as well as government-employed psychiatrists. The bad news is that 165,000 military veterans have already lost their gun rights because of the “see a VA shrink, lose your gun rights” precedent from the Clinton-Bush era. Sadly, what happened to military veterans has now begun in the private sector – especially in places like New York, after they recently passed their misnamed SAFE Act. So now taking anxiety pills can result in one’s forfeiting their Second Amendment rights in New York! This is where the gun haters want to push their agenda. And this is one reason why background checks are so dangerous – because they give government bureaucrats the opportunity to deny law-abiding people their constitutionally-protected rights. But the good news is this: The HHS rulemaking is still at an early stage, and HHS is (no doubt reluctantly) taking the views of the general public. Let the HHS know how you feel about waiving all federal privacy laws for people who seek counseling. Also, be sure to tell your congressmen that you oppose the “see a shrink, lose your guns” regs issued by the HHS. Ask him to issue his own comments as well. The regs themselves lay out several ways that you may submit your opposition. The comment period ends on June 7, 2013. This is a very well stated position based in logic and historical fact. A must read of the entire article. Some things I have learned to simply accept, if not with good humor, then at least without comment. As an attorney, I often receive (unsolicited) the glossy “brag books” in which a bunch of Seattle and Bellevue attorneys call themselves “Super Lawyers”, or publications like this one, intended to create confidence that if you have the negligence/personal injury/product liability case in which you don’t have confidence to properly handle yourself, referral to their firm would be a great thing for your client. These things usually clutter up my mailbox, and I confess to rarely giving them a second look, but in this case, I did…for obvious reasons. And I found myself very angry because of it. This is a must read folks! Sometimes it’s easy to focus on the fact that government is prohibited from any infringement period (for any citizen who is not in the state’s custody), and forget the more obvious fact that government has already demonstrated that it does not approach the issue in good faith and already violates the law as it applies to its actions with regard to “gun control”. This piece from Armed and Dangerous offers a refresher on this take…go now, and read it. It makes no sense… Oh really..? And honor it he did, with frank, honest, and heartfelt testimony that laid bare the horrendous fact that two inexplicable stand-down orders were given that left Hicks and Special Forces personnel in stunned disbelief and outrage, and left their brothers in Benghazi to fend for themselves. Stand-down order #2 was when the Special Forces team in Tripoli was all set to jump on a C-130 and fly to Benghazi and rescue their brothers, when their commander, Lt. Col. Gibson, was ordered to stand-down and stay in Tripoli. This video was put together after the event today at 10 AM EST, National Press Club. I hope this is the straw that does it! Navy SEAL Team VI Families to reveal governments culpability in death of their sons in the fatal helicopter crash in Afghanistan following the successful raid on bin Laden’s compound. First, we were told that some Muslims didn’t like a YouTube video, so they killed some Americans. Now, even the Dems are not believing that lie. Now, we are being told that it was “terrorists” who wanted to kill some American officials, but it was covered up so Obama could get re-elected. That doesn’t make any sense, either, because the American sheeple would be waving the flag if they knew upfront that Muslims were killing American officials. Why try to hide that? Makes no sense. And it probably makes no sense because it probably is not true. The story also involves General Paetreus, in that the REAL reason for his resignation was about Benghazi and not an affair. This angle makes A LOT more sense for a cover-up, is consistent with what we know about black ops and CIA, is consistent with what we know about “The Database” (aka “al Qaeda”), explains why Hillary would get in such a hissy fit over any investigation (as head of the State Department, she would have been a KEY person in making the decision to do what was done), and explains why even the Repubs are sidetracking this issue to only discuss why there was no military response after the attack began. “I will never leave a fallen comrade to fall into the hands of the enemy and under no circumstances will I ever embarrass my country.” The Creed, an abridged portion thereof. I’m not sure if you were able to read my message last week about Rep. Cheri Gerou (R-Evergreen) voting to restrict your gun rights and now working overtime to silence gun owners! Voting records and actions don’t lie; they reveal who people really are when (they think) no one is watching. …liberal Republicans like Lindsey Graham, John McCain, and yes, even Cheri Gerou, consistently find a way to undermine our Constitutional rights. , I don’t need to tell you politicians are shifty or underhanded or that they don’t just come out and claim to be anti-gun to your face. In Gerou’s case, she voted against what the Colorado media labeled as the most controversial gun control measures. But once the cameras were off and Coloradans’ attention was directed toward other issues like immigration and education, without missing a beat, Rep. Gerou voted to restrict your Second Amendment Rights. That’s why RMGO keeps a weathered-eye on the issues even when they don’t garner the limelight. HB 1043-Redefine a deadly weapon: Labels any firearm loaded or unloaded as a deadly weapon. This bill takes away due process by giving DAs the upper hand in the courtroom and makes it harder for honest citizens to defend themselves by adding an automatic assumption of intent. SB 195-Stricter Requirements to Obtain a CCW Permit: Citizens shouldn’t have to fight through the bureaucratic red-tape to practice their Constitutional Rights. Unfortunately, this bill makes it even harder and more restrictive for honest law-abiding citizens to obtain a CCW Permit. SB 13-Gives Peace Officer Status to the Secret Service: This bill gives the same person behind the infamous Fast & Furious scandal, Eric Holder, the power to arrest and detain Colorado citizens without due process through the use of the Secret Service, which Holder is appointed power over. HB 1306-Creates Mental Health Task Force: This bill aims to create legislation which could give bureaucrats the ability to violate your private health records and strip away your right to bear arms through a Government controlled databases. The truth is in the public records! In fact, out of 28 House Republicans, Gerou was only one of three House Republicans to vote for gun control. Of the nine gun control measures Gerou voted on in the House, Gerou voted for anti-gun measures four times — the most of any Republican in the entire legislature! To make matters worse, now “representative” Gerou has filed an “ethics” complaint against RMGO Lobbyist Joe Neville in a radical attempt to silence pro-gun supporters at the state Capitol. Despite being the instigator and aggressor in this incident, she had the audacity to have one of our staffers “investigated” by anti-gun tribunal. While she claims RMGO is lying about her behavior, just take a listen to her testimony about the incident in the video below. I don’t know about you, but to me, sounds like “representative” Gerou isn’t as pro-gun as she’d like you to believe. You see, Gerou represents House District 25, the safest Republican seat in all of Jefferson County and also one of the largest support bases for the Second Amendment in all of Colorado. This is why we believe Gerou is doing everything possible to block, shutdown, and firewall the public from knowing the truth about her anti-gun positions. But those who know me know there’s nothing that infuriates me more than weak-kneed politicians playing fast and loose with our Constitutional right to keep and bear arms. I will expose the records of those politicians from ANY PARTY who fail to stand up for our Second Amendment Rights, NO COMPROMISE! I don’t work for one party or another. I work for the tens of thousands of pro-gun supporters just like you who expect me to protect and defend your right to keep and bear arms. As the Executive Director of Rocky Mountain Gun Owners that has been my promise to you and I intend to keep it. So if you haven’t yet, please click here to help RMGO fight back against Representative Gerou’s radical attempt to silence gun owners. , your donation of $100, $50, or even $30 – or whatever you can afford – will help us battle this onslaught. Only together can we win this fight to preserve our constitutional rights. P.S. Rep. Gerou voted for four of the nine anti-gun measures. This was the most of any Republican in the entire legislature! Now, Gerou has filed an ethics complaint against RMGO Lobbyist Joe Neville in a radical attempt to silence pro-gun supporters at the state capitol. Colorado now seeks to torpedo free speech: First it was the ability to defend yourself. Well, we did warn you. We had to know this was coming sooner or later. A government that believes itself to be powerful enough to restrict the right of citizens to self-defense with firearms will sooner or later seek to torpedo free speech as well. Invariably collectivist governments around the world prove the point. From the old Communist Soviet Union to Red China, from Hitler’s Germany to Castro’s Cuba, such regimes are convinced it is necessary not only to insure that their citizens are disarmed but that their right to criticize the government or to utter other forbidden ideas must be severely restricted. The name of the game is centralized control. Government fears the freedom of the people. Thus, the people must be muzzled and deprived of their guns. Colorado is the latest case in point. Just weeks ago the Colorado legislature and governor, both of which are under the control of Democrats, passed highly restrictive gun control measures over the objections of millions of citizens, leading a major gun magazine manufacturer to promptly leave the state, taking its jobs with it. Sportsmen and hunters have vowed to boycott the state. Hunting and fishing are a multimillion dollar industry in Colorado, and the state government benefits handsomely from the activity. But perhaps the thing that sticks in the craw of Colorado politicians the most is the vociferous verbal attacks they are receiving from citizens who astutely observe that the state has crossed a line that is totally unacceptable to freedom-loving citizens. Threats of recall elections have been rampant, and forces are now amassing to oust all Democrats from the legislature in the next election for their shocking overreach in trampling on the rights of citizens. However, it is to be noted that the main instigator of the current attack on free speech is a Republican. In addition, Colorado has become a target for nationwide civil disobedience as gun owners vow they will deliberately break the state’s new gun laws. But instead of such outrage leading the politicians to back off their ill-conceived attacks on citizen rights, the pompous purveyors of prepotent despotism decided instead to muzzle the citizens, preventing them from advocating for Second Amendment rights. When the gun control bills were being considered in the Colorado legislature, Rep. Cheri Gerou, a Republican, burst forth in a tirade over her constituents’ views on guns. One of her targets was a representative of the Rocky Mountain Gun Owners Association, Joe Neville, who eloquently defended the legislator’s gun rights constituents. In retaliation Gerou filed a complaint against Neville and launched an investigation by an “anti-gun tribunal” into the gun owner group and Neville. The full story of the confrontation instigated by Gerou can be found here. This kind of behavior on the part of elected representatives who are supposed to represent all of their constituents cannot be tolerated. If her actions are sanctioned or overlooked, and if she is successful in silencing Neville and the gun owners group, then the forces of anti-freedom will win yet another battle.